This might not surprise you, but below is a picture of a paperclip. It is red. 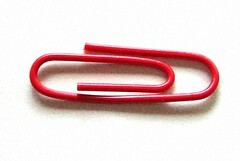 This red paperclip is currently sitting on my desk next to my computer. I want to trade this paperclip with you for something bigger or better, maybe a pen, a spoon, or perhaps a boot. If you promise to make the trade I will come and visit you, wherever you are, to trade. Hope to trade with you soon! I'm going to make a continuous chain of 'up trades' until I get a house. Or an Island. Or a house on an island. You get the idea. *Click here to see who I traded my one red paperclip with. Heh, reminds me of Zelda games, where you would trade one item with another over and over again until you got the Master Sword or something cool like that. after you achieve this goal what would be next? This is brilliant, I'm interested in seeing how far you can go with that. Keep trading! I have done this once with the introduction week of my school.. only we started with an aple and an egg. In the end, we had tons of wood, cardboard, and lots of useless stuff like clothhangers.. all within an hour. we had to build a fort with the material, and we builded a great one, but I was pretty amazed how far we got. other teams got also lots of stuff, from bicycles to flag holders and even a scooter! all within the hour.. I wish you good luck, and I'm sure you'll get that house! i'm amazed that some redneck out here in saskatchewan, canada, didn't offer to trade his wife for the snowmobile! Wow.....I just saw you ON G4!! Nice paperclip! wow, this is amazing!where did u get the idea? This idea is priceless... 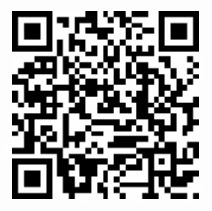 I am adding a link to my site for you. Best of luck! trailer that I use to transport the race car. I originally saw your one red paperclip on Curious-Auctions.com and have been following you ever since. I really hope to see you get your house someday. You are truly a tribute to American ingenuity! Anyways, good luck. If you can get a house from a red paper clip that would be extremely impressive. Very cool. I heard them do something like this on CBC radio once, basically starting off with a coat hanger, and ending up with an old motorbike. Does anyone know who has the red paper clip now? Do those two girls still have it? OMG MATE I AM IN EBGLAND I JUST WATCHED YOU ON GMTV THIS IS AMAZING I CANT BELIVE IT HAS WORKED BUT WELL DONE AND KEEP IT UP!!!! You are a genius, man. Nice idea ! this shows very well that human beings are powered by emotion and not by reason ! Good blog, just passing through and saying hello. I am guessing 10 more trades and you will have your house. I hope you do it. Keep up the good work! P.S. one of your trades will be for season tickets to a sports team down the road. I just know it. Someday in the not-so-distant future you'll be walking the beach in front of your finally aquired house and up will float a sealed jar. Within the jar rattles the Red Paper Clip. May God Bless and keep you on your Mighty Path, Lad. I think your plan is simply brilliant, and i wish you good luck. Hope you get your house. I just went to town and got myself some paperclips! I've got a box of 100 and I'll see what I can get. I guess it takes a lot of balls and charisma to be able to pull such things off! red paperclip guy - YOU ROCK! Congrats on the house! This story is superb! Everyones impressed over hear! Well! Well! Well! I saw your story on 20/20 last night. This is amazing, I know along the way you must have gained more than you expected. The friendship and exposure you got worth just as much as the house if not more. I wish I was part of the trade. I pray more success come your way. Sorry, I am a German guy. Maybe you don't understand me. In my opinion it is a very clever idea, but how can I get visitors? Must I pay money in case I want to adapt your idea? Or is the idea in public domain? I want to get a car or a house or both. I worked on a site and I would delete it if I am outlaw. Please, answer immedently in case I am outlaw. I want to translate the text soon. Just saw the 20/20 article on you. you're great to get a house out of a paperclip in just 14 trades. good work! Hey u wanna trade your house for my pen. I'm sure that you will get that house!So keep trading! i like the paperclip, can i trade it for a marble? Hi, I have read your story in a major German newspaper (die ZEIT "times") and was pretty amazed by this brilliant idea and the opportunites as well as the public sphere internet creates. You got the 15 minutes of fame Woody Allen promised. For me the story creates more evidence that the network society (Castells) or global village is a reality. Yjis eptimizes the entrepreneurial mindset. This is success through amazing creativity and perseverance. Congrats on the entrepreneurial mindset and the "out of the box" thinking. I hope to use your concept to attract items for silent auctions for charity. Has anyone done this, and if so what were the keys to your success? What's this type of trading called? This is an amazing idea, I blog about racism and gambling, and a whole bunch of things that have me ticked off at the world a lot lately, so this was the breath of fresh air I really needed! We're only half way through the story, but it's bedtime for preteens in Portland, we'll be back tomorrow though, and just incase I forget then, I wanted to say thanks for sharing your amazing story! What a great idea! I'm sure it's paid off more then even you imagined! This is amazing. For just one red paperclip, the result is practically insane. It is sooooo cool that you would think of that. I had a story in my 2nd or 3rd grade English text book about a boy who trades a dead rat for many other things and ends up being a rich man. I just got done watching a show called "Beyond Tomarrow" which was obviously old. I wondered what ever happened to the house in Australia you orginally wanted to trade for? You have very unique idea indeed. Hope you will get your house pretty soon.